When you look through the book Traction or Get a Grip, it’s pretty to see the surface level benefits of the EOS Management System. 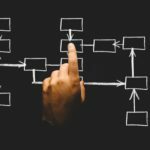 The Entrepreneurial Operating System® (or EOS) has dozens of tools that help organize a business for both short and long term success. 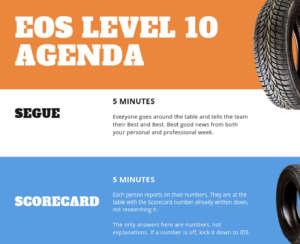 Tools like the Accountability Chart™, the Scorecard™, EOS Rocks™, and more bring in a culture of accountability. But, don’t overlook one of the biggest benefits: transparency in the workplace. So let’s talk about how transparency within the executive team can be a catalyst for positive company wide change. First let’s talk about what I mean when I say dishonesty and how it relates to transparency in the workplace. 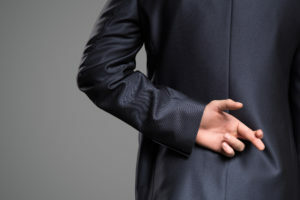 The biggest issue I deal with when trying to address transparency in the workplace with a business is that many think that dishonesty is limited to lying. Obviously lying has no place in the board room. Any outright lying among C-level execs undermines a company and should be addressed immediately. However, there is a lot more to dishonesty that just lies. Total transparency in the workplace comes from being 100% willing to call out the truth. And I really mean 100%. You need to be able to let people know when you don’t have everything you need to make a decision. Here are some examples of when a lack of total, total honesty is harmful. Your team is there to support a company. Your goal is to provide a service or create a product that you’re proud of. Being on the same page with the executive team is not an optional part of achieving that goal. Most importantly, dishonesty gets out of control. You, as a team member, need to understand that. Dishonesty in the workplace can and will fester for a long time. But, eventually, inexorably it causes nearly irreparable damage. Let me give you an example of how a lack of transparency in the work place will torpedo any business, big or small. We all know about companies like Enron being toppled by massively unethical scandals. But, what about the small business down the road being eaten from the inside out, because they weren’t addressing their problems. For anonymity we’ll call this company Flower Power. Flower Power makes a great product and has a great team. The owners have known each other for years and were really excited to launch just a couple of years ago. But, it didn’t take long for a lack of transparency in the workplace to sink their ship. See, Frank, the CMO, was making deals and creating marketing opportunities without consulting with the team. Teddy, the COO, wasted tens of thousands buying and renovating a property that didn’t make sense for their needs. And Will, the founder and chief share holder, he was micromanaging as much as he could to avoid giving his honest opinion on bigger picture problems he saw on the horizon. What happened? Well, Flower Power tanked. Why? Frank wasn’t lying by any means, but he wasn’t communicating and being transparent about what he wanted to do. This lead to major deals that the company couldn’t honor. The company lost all credibility overnight. Frank got terminated and voted off the board because…. Will hadn’t been up front with the team about his opinion of Frank’s plans. Turns out Will had a very strong opinion on some of the deals Frank had made. Rather than talking to Frank, Will spent all day micromanaging production, letting those problems fester until he exploded and fired Frank. Frank saw it as a total surprise. Meanwhile Teddy is blowing money left and right, because he doesn’t feel safe telling the team he isn’t really qualified to make certain decisions about construction costs. Flower Power is dead in the water. They had an amazing product, a smart team, and a corner on a highly lucrative market. They were dishonest, though. And, dishonesty kills businesses. Transparency in the workplace can come from internal sources. If your team is truly dedicated to creating transparency and accountability, you can bring those elephants in the room to light. But you don’t have to do that without any guidance. I’ve put together a really quick guide for facilitating this process. It’s short, simple, and to the point. 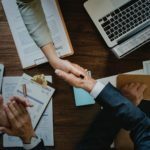 Follow these steps and use these tools (all free for download) to start building a company that values honesty, and succeeds because of it. Download your copy of the Transparency Guide Here. Don’t have time to read through the full Transparency Guide? No problem. I’ve put together a short list of tools that can be used on their own to increase transparency. Each of these tools can individually be used to greatly increase transparency in the workplace and each one has an article explaining how to use it. Earlier I gave some basic examples of problems created by a lack of transparency. Here are some quick examples of how to use the above tools to address these issues. 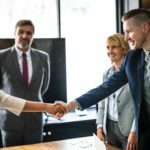 A colleague doesn’t fit in with the company culture -> Reexamine your companies Core Values so your team has the needed vocabulary for the discussion. A target number (sales, etc) is regularly off -> Bring in weekly accountability and honest reporting with a Scorecard. Team member are making conflicting plans -> make sure your team is always on the same page with a Meeting Pulse. The team is ignoring a major problem -> Start solving issues using the IDS™ Process.